Good News. The newly announced Fujifilm GFX 50R is now available for Pre-Order at Amazon/ B&H/ Adorama. 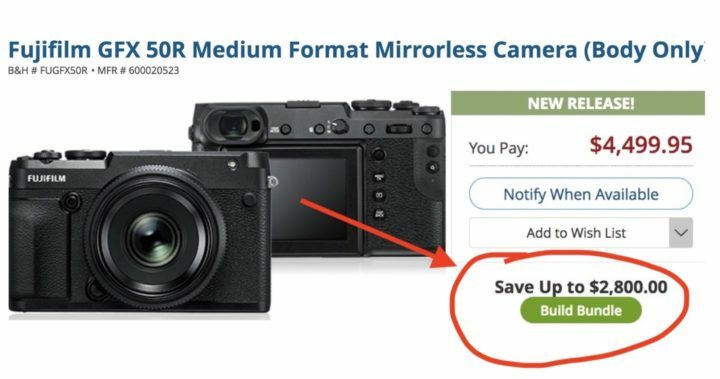 B&H even launched up to $2,800 savings on Fujifilm GFX 50R bundle deals, if you Pre-Order the Fujifilm GFX 50R along with the GF 63mm F2.8 (save $1,000), GF 32-64mm F4 (save $800) and GF 45mm F2.8 (save $1,000). This entry was posted in Fujifilm camera and tagged Fujifilm GFX 50R on September 27, 2018 by admin.